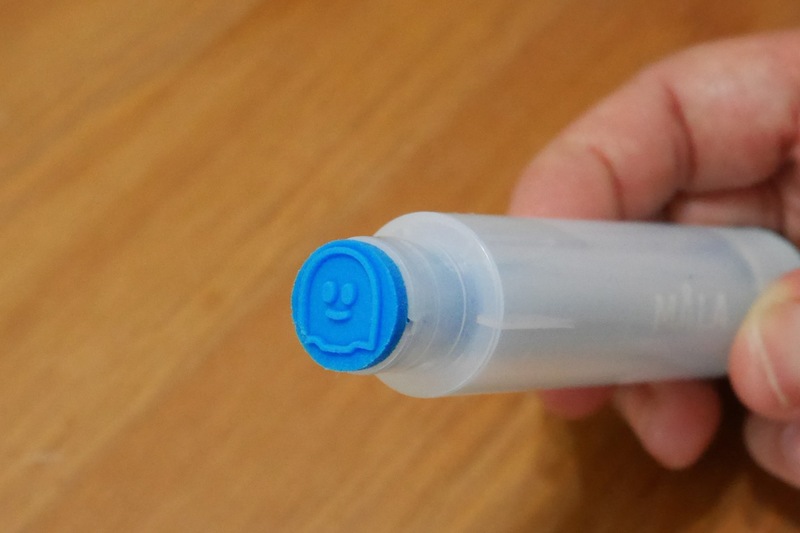 Today we use the ghost stamp of the MÅLA Stamp pen set from Ikea. The title of this post is ‘GHOSTopus TOWN’, that means we are using the stamp to make octopus heads. 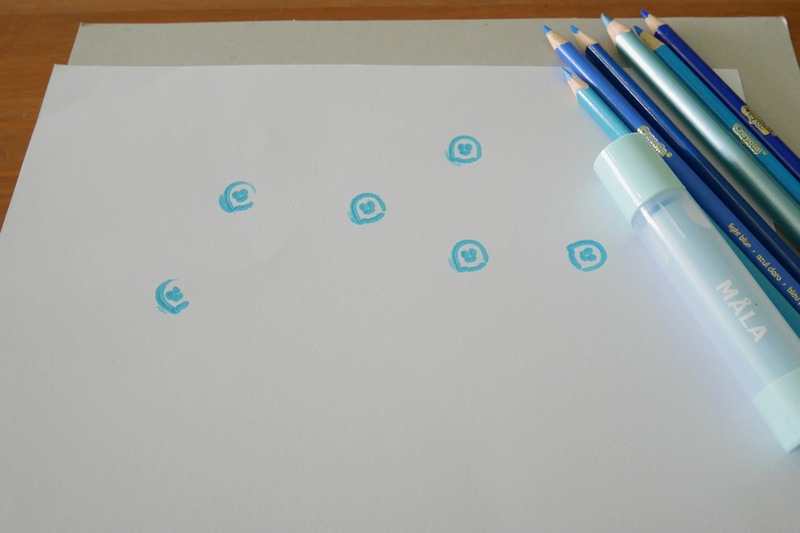 Step 1 – Make some ghost impressions on a sheet of drawing paper using the MÅLA stamp pen. Step 2 – Draw the tentacles of the octopus, repeat the same process for the rest. Note: They can look identical or you can make each of them look unique. For my example, I put hair, neck fashion and shoes. 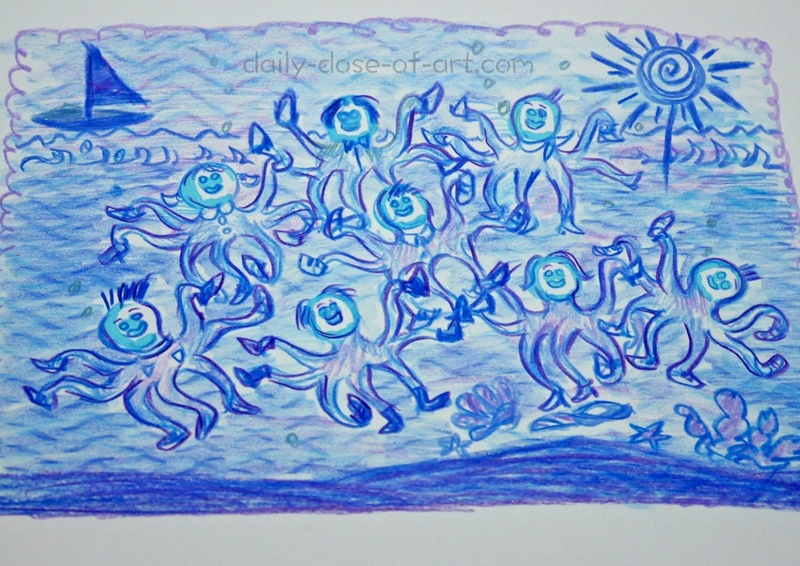 Step 3 – To create the sea-like wavy impression, I rested the drawing paper on a sheet of corrugated foam and started rubbing tones of blue plus purple coloured pencils. And there you go – you just created a fun GHOSTopus Town scene! This is just an example of course, once you’ve stamped those ghosts, they can be whatever you want them to be, and wherever your imagination takes them. So do… not fear ghosts but turn them into friendly, funky denizens of the deep. 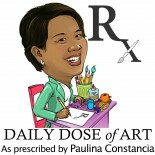 This entry was posted on April 22, 2014 by Paulina Constancia in Create and tagged Arts & Crafts.